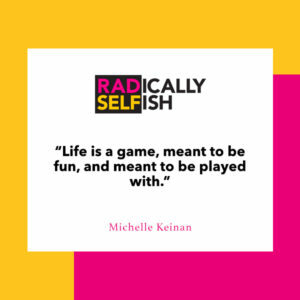 Today’s episode is all about how to reconnect with your inner wisdom! Here to inspire us is our very own host, Michelle Keinan, transformational mentor and power guide. The freedom of having a choice to make is usually equal parts thrilling and overwhelming. We get stuck in a feedback loop, comparing pros and cons or asking friends and family for advice, agonizing about what the thing we “should” do is. 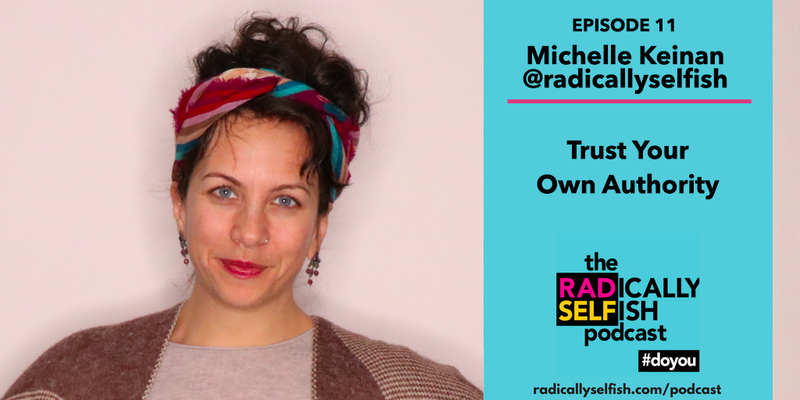 When it comes down to it, “should” is utterly subjective — so Michelle says the number one thing you can do is stop asking other people what to do! So many of us are so disconnected from our intuition and our gut instinct that it might feel like we go into a tailspin whenever we’re faced with different options, but the answer is there, inside of us. You have to quiet down, ask yourself what you want, and then wait to hear the answer. It might come right away or it might take a while, but the important part is to be still and listen. Your job is to make the space, create the silence, ask yourself the question, treat yourself with respect, listen to what’s there, and then decide what you want to do next. It’s all about you. — No matter how good someone else’s intentions, the only advice they can give you is really what’s best for them; only you know what’s best for YOU. — Over time, when we decide to let other people’s opinions drown ours out, we lose our ability to connect with our inner guidance system or our inner wisdom. — Every choice we make allows us to illuminate something else or lead us further down a path; there is no one way to do things. — If you’re working with someone or have someone in your life that doesn’t give you the space or freedom to make decisions on your own, think about how you need to approach that relationship. — When we live according to other people’s definition of success we inevitably feel like something is missing. — Create the space to listen to your intuition; you were born with it…sometimes it’s a voice and sometimes it’s a feeling, and you get to tap into that at any time you want by talking to it. — “Adulting” and consciousness are about standing up for yourself, and are about being true to yourself. — Integrity is really important; we give authority figures respect, so we need to treat ourselves the same way. 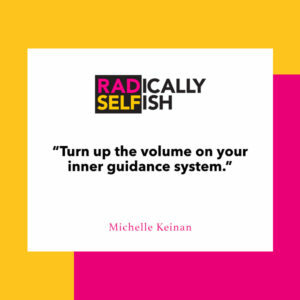 — The more you can amplify the volume and hear what your inner guidance system is telling you, the more grounded and true you feel.